Today is ‘May The Fourth’ – a day that excites millions of fans of the Star Wars franchise worldwide, and plays on the film’s famous ‘May the force be with you’ line. Later this year, those fans will be treated to The Force Awakens – the first new Star Wars film since 2005’s Revenge Of The Sith. In the mean time, we’ve picked out five of our titles that every science fiction fan (or aspiring Jedi!) should add to their reading list. 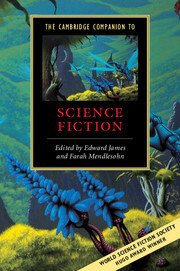 Where else could we start but with The Cambridge Companion to Science Fiction, edited by Edward James and Farah Mendlesohn, and one of two great sci-fi titles from our popular Cambridge Companions series. 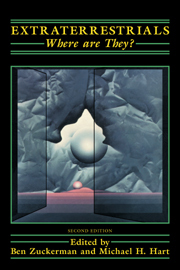 This book is a collection of work by scholars and fiction writers (including Gwyneth Jones, Ken MacLeod, and Brian Stableford), and explores the history, influences, themes and sub-themes of science fiction. 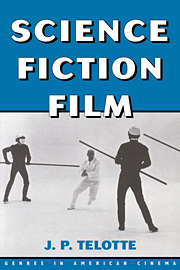 Simply titled Science Fiction Film, this book by J. P. Telotte, examines the relationship between attitudes toward science, technology, and reason, as they’ve evolved in 20th century American culture. Telotte explores the history of sci-fi alongside humanist, psychological, ideological, feminist and postmodern critiques. If you’re a fan of cult films Robocop (1987), Close Encounters of the Third Kind (1977), The Fly (1958 and 1986) and THX 1138 (1971), then you’re in for a treat, as these four films get an in-depth analysis. 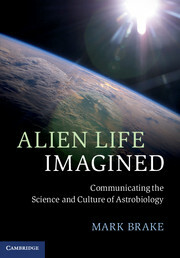 Author Mark Brake‘s Alien Life Imagined explores how scholars, scientists, film-makers and writers have devoted their energies to imagining life beyond this Earth. Looking at work from Isaac Newton through to Stanley Kubrick, and Lucian to H. G. Wells, this book is a fascinating journey for anyone interested in extraterrestrial life and the debates that it sparks amongst astronomers, astro-biologists, and science fiction fans. Personally, I’m hoping that Ewoks and Daleks don’t really exist. 4. Extraterrestrials – Where Are They? In this second edition book, Extraterrestrials – Where Are They?, edited by Ben Zuckerman and Michael H Hart, we explore possibilities of interstellar travel, and as the idea of a Martian colony step closer, it also explores colonization. Contributors examine the absence and extraterrestrials on Earth, and claims that Earth is already observing extraterrestrials, and extraterrestrial intelligence. 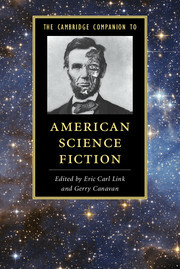 Edited by Gerry Canavan and Eric Carl Link, The Cambridge Companion to American Science Fiction traces our fascination with outer space from the beginnings of the Star Trek series (1966) through to Guardians of the Galaxy (2014) and charts the evolution of our bleak pop cultural view of living beyond Earth. 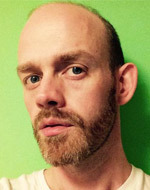 Contributors to the book cover topics such as Hollywood, fandom and fan culture, gaming, the impact of 9/11, and feminist and LGBT science fiction in America. How ever you choose to mark ‘May The Fourth’, remember: these are the books you’re looking for!